The population of Aedes nigripes, the species of mosquito native to the Arctic, is expected to thrive as the region warms. This would affect caribou (reindeer) herds on whose blood the mosquitoes feed, which in turn, would affect tribal communities which subsist on the caribou. This is the conclusion reached by a team of researchers from the Dartmouth College in New Hampshire, United States. The results of their research have been published recently in the journal Proceedings of the Royal Society B: Biological Sciences. The researchers have predicted that the mosquitoes' probability of surviving and emerging as adults will increase by more than 50 per cent if Arctic temperatures rise by 2 degrees Celsius. Mosquitoes in the Arctic develop in shallow temporary ponds of springtime snowmelt on the Arctic tundra, where their top predators are diving beetles. To find out how climate change would affect mosquitoes, the researchers placed mosquito larvae taken from ponds in western Greenland into chambers with temperatures ranging from 4 degrees Celsius to 19 degrees Celsius. This was to simulate springtime temperatures in the ponds during which mosquito development usually takes place. The researchers then timed the whole procedure to measure how long it took for the adults to emerge. In separate chambers, they also assessed how many mosquitoes the larval beetles would eat at various temperatures. The results showed that warmer spring temperatures caused the mosquitoes to emerge two weeks early and shortened their development time through the larval and pupal stages by about 10 per cent for every 1 degree Celsius increase in temperature. Warming increased the number of mosquitoes being eaten by diving beetles, but the mosquitoes' accelerated growth in their vulnerable juvenile stages lessened their time with aquatic predators, which ultimately increased their chance of surviving to adulthood. Based on this, the researchers predicted that an increase in temperature by 2 degrees Celsius would increase the mosquitoes’ probability of survival by 53 per cent. Lead researcher Lauren Culler told the website Phys.org, “Increased mosquito abundance, in addition to northward range expansions of additional pest species, will have negative consequences for the health and reproduction of caribou. 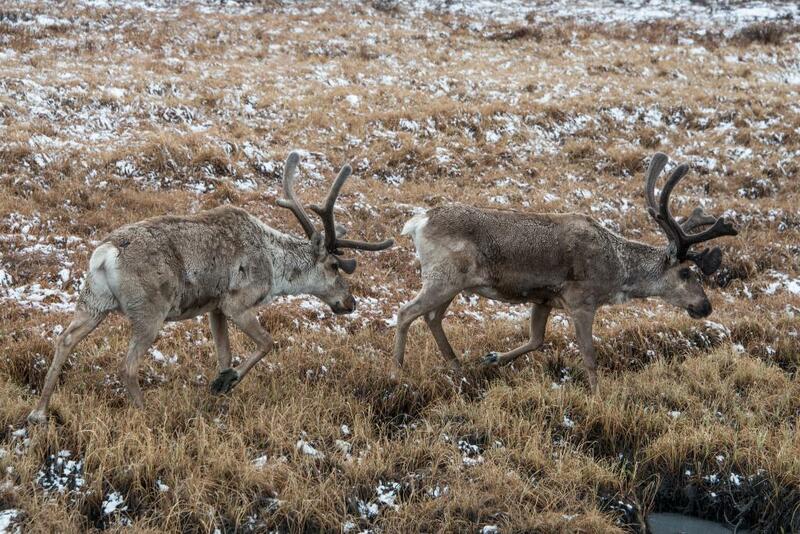 Warming in the Arctic can thus challenge the sustainability of wild caribou and managed reindeer in Fennoscandia (Norway, Sweden, Finland and parts of northwest Russia), which are an important subsistence resource for local communities."